Tracy obtained her law degree from UBC in 1994 and in 1995-1996 she clerked for 5 judges of the Supreme Court of British Columbia. As a law clerk, Tracy assisted in the research and drafting of numerous decisions by the Court. After her clerkship, Tracy articled at Roberts & Griffin (later to merge with Miller Thompson LLP) and was called to the bar in March, 1997, whereupon she remained with Roberts & Griffin as an associate. Tracy moved to Scouten & Company in 2000 and decided to branch out on her own in the summer of 2001 when Scouten & Company merged with Grant Kovacs Norell. She joined Ng & Ariss in the autumn of 2002. Tracy’s practice focuses mainly on civil and commercial litigation, natural resources law and administrative law. However, Tracy also has significant experience in class action proceedings, securities regulation, as well as First Nations, “leaky condo” and estate litigation. She has taken numerous courses in alternate dispute resolution and interest-based negotiations and has a strong interest in legal analysis, research and writing. Tracy brings a varied background to the field of law. Prior to entering the profession, she coordinated the Howe Sound Round Table on the Environment and the Economy where she worked with Round Table members and various levels of government, industry and community groups on local sustainability initiatives. During this time she coordinated and edited a report for the Department of Fisheries and Oceans presenting a new management framework for aquatic resource management in Howe Sound. Tracy also gained extensive technical knowledge of all aspects of building construction through her work at the management level in the construction material supply industry. 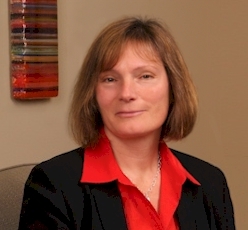 Tracy is presently the Public Interest Coordinator at the University of British Columbia Faculty of Law and practises with the firm on a select basis.